"What, what? Pictures don't have audio right?" You're right. They don't. And iMovie doesn't think they do either. If you select a still image in your project and bring up the Inspector, you only get two choices: Clip and Video. The audio tab doesn't appear like it does for video clips. At first glance, that seems right because pictures don't have an audio track to adjust. But what if you are making a slideshow and you want your background audio to duck (get quiet) under a specific picture for dramatic effect? Well, without the audio tab and the ducking checkbox that comes with it, you'd have to go through the very tedious process of dragging in three overlapping copies of your song and cutting them with precision so that they just sound like one copy of the song that gets quiet at just that point. OR YOU CAN USE THE SUPER-SPECIAL SECRET TRICK! Alright, fine. It's not that special, but it is really useful. Hopefully you noticed that the above image of the Inspector is a little weird. It's showing you the audio adjustments panel, but there's no Audio tab to select. How did I do this, you ask? The letter A. Just select the picture in question and hit A on your keyboard. The shortcut works with pictures, even if the Inspector doesn't think it should. So now you can adjust the background audio behind a still image. Duck away! You, like me, probably wondered what the heck iFrame is when you saw it listed in the recent iMovie Software Update. My initial reaction was that the consumer video space needs another format like a kid's sandbox needs cats. As is usually the case with Apple, there's more to the story. It turns out that iFrame is a new format Apple is promoting. 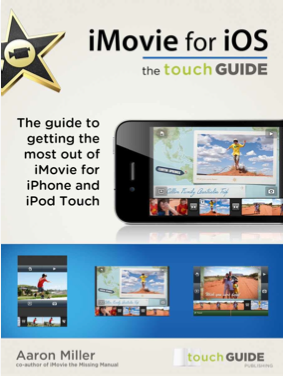 Based on h.264 and AAC, the format is optimized for iMovie. How so? Well, it doesn't require lengthy conversion times before you can edit it, the way AVCHD does. 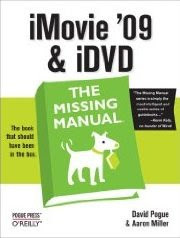 It also comes in a default resolution of 960x540, the same size that Steve Jobs said was plenty big when he first introduced iMovie '08. This, presumably, is more processor friendly than typical h.264 clips that suffer in skimmability while editing. Basically, iFrame video is ready to go and smoother to use as soon as the files get off your camera and onto your Mac. Being in the middle of a YouTube generation, the difference between iFrame's resolution and HD seems to not matter a whole lot. If you're putting your masterpiece out there, you'd choose HD. But if you posting the birthday party footage for your friends and family, a video format that's easy to edit and share fits the bill nicely. Sanyo is the first manufacturer to offer iFrame capability in any of its cameras. Today, it announced the VPC-HD2000A and the VPC-FH1A. Both look like nice hybrid cameras, since they also shoot 8-megapixel stills. They can also shoot 1080p video, in what appears to be MPEG-4. Finally, don't expect Sanyo to be the sole purveyor of iFrame cameras. After all, Apple is making a heavy-duty move into the consumer video space through its iPods and iPhones. I expect all of Apple's video recording devices to shoot in iFrame before too long. If shooting HD on an iPhone has too many space/power/battery life limitations, I'd be okay with "HD-esque". After all, I'm recording it on an iPhone, not a Red One. 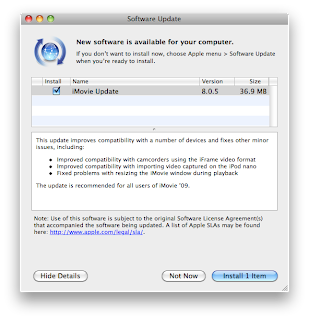 The update is recommended for all users of iMovie ’09. The update is only 36.9MB, so it's a pretty small one. As always, tell us about your experiences in the comments!